Moved to LivinLaVidaLowCarb.com/Blog: Overweight Surpass Malnourished: Now What? Overweight Surpass Malnourished: Now What? This Medical Research News story highlights a startling new statistic that is a sign of the crazy times we live in these days--there are now MORE people who are overweight in the world than are starving! GASP! 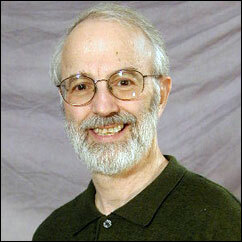 Dr. Barry M. Popkin, a nutrition professor at the University of North Carolina, reports that while there are still 800 million people who do not get an adequate amount of food to nourish their bodies, the startling fact is that there are now 1.3 BILLION people who are also either overweight or obese. ONE AND A HALF BILLION PEOPLE! WHOA!!! This statistic was quoted at the International Association of Agricultural Economists in Australia and Dr. Popkin said every single country has played a detrimental role in allowing such a travesty with weight problems to exist. Okay, fine. Let's start pointing fingers at all the nations in the world, Dr. Popkin, and shame them into forcing their citizens to change their dietary habits. Good luck on making THAT happen, sir! What we need to do is begin challenging individuals, not society about dealing with their weight problem themselves instead of waiting on an answer from a "big brother" socialistic society. If we keep expecting government to lose weight for us, then we are going to be sorely disappointed with the results. I tried to follow the government-recommended dietary guidelines, Dr. Popkin, and frankly I couldn't see how ANYONE could ever expect to do that diet for the rest of their life! Had it not been for the Atkins diet program that I began in January 2004, I would have NEVER been able to drop my weight from 410 down to 230 and become the healthy, energetic man I am today. And the government certainly didn't help me in that regard! Dr. Popkin theorizes that a variety of sociological and economic changes over the past two decades have led to poorer choices regarding diet and nutrition. Except for the cereal to meat comment, I could not agree more. But let's don't blame meat and vegetable oils on our obesity. Those refined sugars and carbohydrates have played a TREMENDOUS role in weight going up and up, including the large amounts of high fructose corn syrup (HFCS) they put in virtually EVERYTHING we eat these days! Our diet has radically changed! Dr. Popkin also claims that all of these changes seemed to happen overnight which led to a rapid increase in obesity while those suffering from severe poverty have seen a slow, but steady decline over the same time period. Interestingly, while the Western world is generally stereotyped for having the biggest problem with obesity because of its wealth, actually the greatest growth in overweight and obese people is happening in Asia, Dr. Popkin said. "How can abject poverty and obesity coexist?" Is that not one of the most ironic things you have ever heard of? How can we have people walking around weighing 300, 400, or 500+ pounds in the SAME WORLD as we have 100, 90, or 80-pound adults who are literally malnourished? What kind of messed up world allows these two groups of people to habitate together on the same planet? Something has definitely gone awry and there are no easy answers to explain why this is happening. Sure, the underfed numbers are coming down and people like Dr. Popkin are concerned (righfully so!) about obesity, but we STILL HAVE 800 MILLION PEOPLE STARVING TODAY!!! Why oh why when the food supply is so readily available to help these people who do not have the resources or access to food like we have in the United States and other developed nations. I just shake my head at this problem and wonder what we can do to solve it. Regarding obesity, Dr. Popkin has a real bright idea that he thinks will solve the problem completely: TAX JUNK FOOD! Hoo boy, don't tell the members of the United States Congress about this idea because they'll become like a bunch of giddy schoolgirls seeing all those dollar signs coming into their bloated coffers! If you thought the move to put warning labels on junk food was going to be a travesty, then just wait until that Ho-Ho starts costing $5 a box! How about $10 for a 12-pack of Coca-Cola? And let's not forget about that Extra Value Meal from McDonalds--a mere $15 with the "fat tax" added on for good measure. There'll be rioting in the street worse than these high gas prices we've been seeing over the past couple of years. UGH! While I am all for trying to get people to stop eating junk food and to begin dealing with their weight problem, compelling companies to take on an unnecessary tax all for the sake of making it harder for them to afford those foods is utterly ridiculous. Dr. Popkin said this same tactic has worked well to get people to stop smoking as many cigarettes and it will work with junk food, too. So what! It is NOT the place of the government to compel good behaviors in people. What will happen to all of this extra tax revenue generated by the "fat tax?" Are we willing to give Congress such a huge blank check to do as they please with it? Well, Dr. Popkin said it could be used to help subsidize so-called healthy foods such as fruits and vegetables. With obesity reaching epidemic proportions, he feels there is no other alternative at this time. Yes there is, Dr. Popkin. Why don't we STOP looking to the government for the answer to the obesity crisis and start encouraging people to look at a variety of weight loss options to help them acheive their weight loss and fitness goals. Since the low-fat approach is no longer as viable as once thought, it's time to help educate people about other options that can help them. This includes public service announcements telling people about how safe and effective plans like the low-carb lifestyle are to take on this obesity monster. We must stop witholding information from the public that can help them get their life back. Who's gonna take the lead and make this happen? When we stop looking at the obesity problem as this giant gorilla that keeps getting bigger and instead break it down into managable units (i.e. communities, neighborhoods, families, people), the problem does not seem to be as overwhelming. We must begin sincerely holding each other accountable within our own spheres of influence at work, church, and in our own homes by encouraging and educating our friends and loved ones to make the right choices for the sake of their weight and health before it is too late. This is ultimately the answer that we need to deal with obesity once and for all. WE must do this, not the government through taxing our food as a means for forcing those "better" choices. The time for people to step up to take responsibility for themselves and their families is NOW! No more waiting for someone else to fix OUR problem. Grab that bull by the horns RIGHT NOW and vow to take care of this issue whatever it takes. MAKE IT HAPPEN! You can e-mail Dr. Barry Popkin about his comments at popkin@unc.edu. I feel the term malnourished is wrong. The other end of the scale of obese isn't malnourished but starving, or at least undernutrition. The government needs to stop subsidizing corn and start subsidizing some healthy food. And I agree with detox that overweight people are malnourished.